This month’s Salad Bar theme was potluck salads – you know the type of salad you bring to a picnic or party. When I go to a picnic I usually bring a dessert but after making this salad, this is going to be my go-to salad to bring! This recipe can easily be doubled or tripled but it was just enough for us to have for dinner for two nights. This salad tastes just like baked potato soup. I loved using Yukon Gold potatoes and I kept the skin on them so they kept all their nutrients and gave that real baked potato taste! 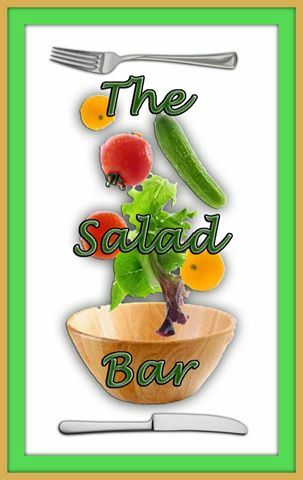 The salad can be enjoyed warm or chilled. We ate it both ways and it was delicious! In a small bowl, combine the mayonnaise and sour cream. Once it’s mixed together, add in the cheese, half the chives and season with salt and pepper. Place in the refrigerator to chill. Boil the potatoes in salted water for about 20 minutes or until they’re fork tender. Drain and place back into the hot pot to allow them to cool slightly. 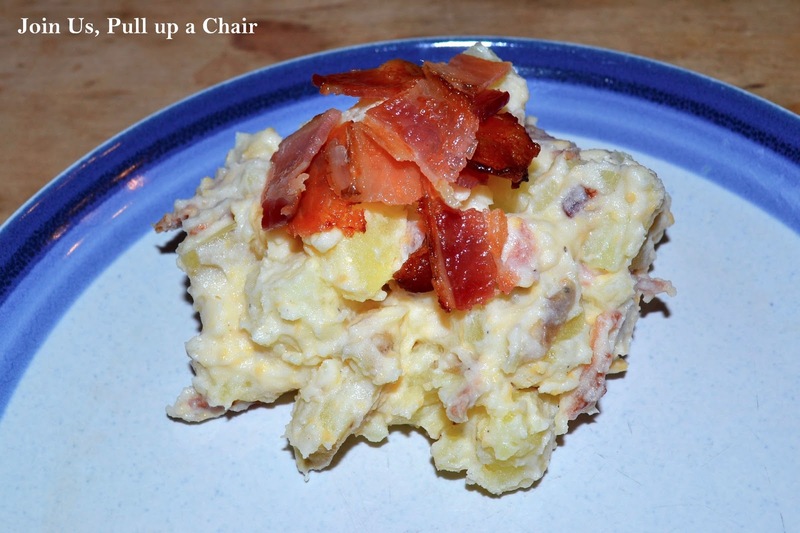 Place the potatoes in a large bowl and add in the dressing and 6 slices of crumbled bacon. Stir to combine. Check the seasoning and add additional salt and pepper if needed. When you’re ready to serve it, top with the remaining bacon and chives. Dig in and get a big scoop – enjoy!